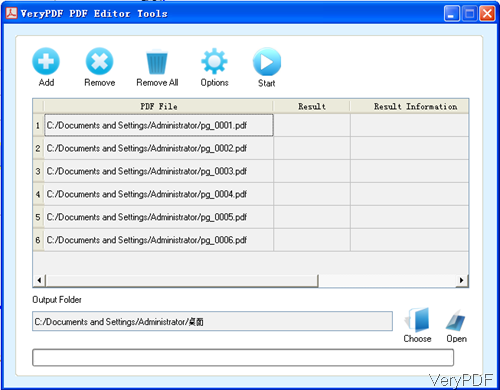 VeryPDF PDF Editor is great tool for editing PDF Content. But the old version can not be used to edit PDF in batch. Recently we have updated PDF Editor to Version 4.1, which was developed based all the functions of old PDF Editor and now the latest version allows you to fulfill most of the functions in batch. By this way, work efficiency can be enhanced greatly. In the following part, I will show you how to use it. PDF Editor is GUI version software, so you need to install it by double clicking the exe file. When install it, please follow the installation message and choose installation options according to your needs. Once the installation finishes, there will be an icon on the desktop. Simply click the icon then you can launch this software. 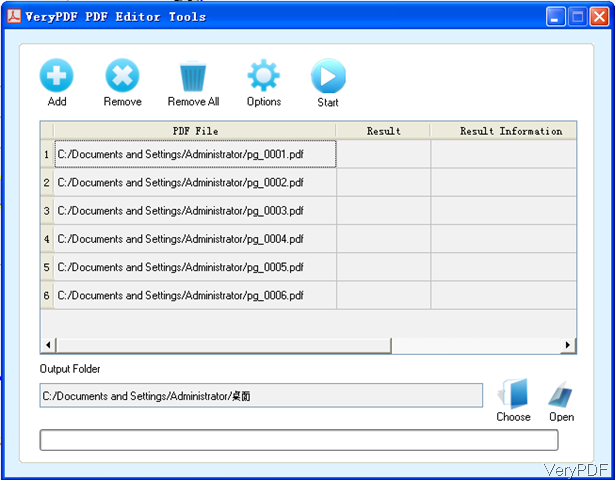 Please launch PDF Editor and find option of Batch PDF Editor Tool. When you need to edit PDF singly, please click option Open. Or simply drag file from its containing folder to software interface. But as we need to resize PDF page in batch, here you can do not need to be hurry to add files. Please click option File then you will see the dropdown list where you can find option Batch PDF Editor Tools. Please click it then you will see the following dialogue box. Please click button Add to add PDF files to software interface. Or you can drag files from its containing folder to software interface. Please specify the output folder by clicking button Choose. Here come to the key step. Please click button Option then you will see the following dialogue box. Please go to second menu tab option Page. Here you can rotate PDF page in any degree, change PDF page size, change orientation, and set page scale. When set PDF page size, you can either choose the standard page size or customize PDF page size by specifying width and height. As to the PDF content, you can rotate page content, do content scale, set PDF page margins in four directions. 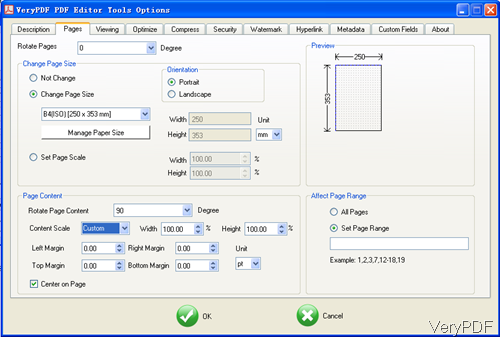 Those settings can be applied one page or a few pages as you can specifying the page range. When you finish setting, please click button OK to back to the main interface. In the main interface, please click button Start then the conversion will run at once. A few seconds later, you can find the output PDF file in the specified folder. 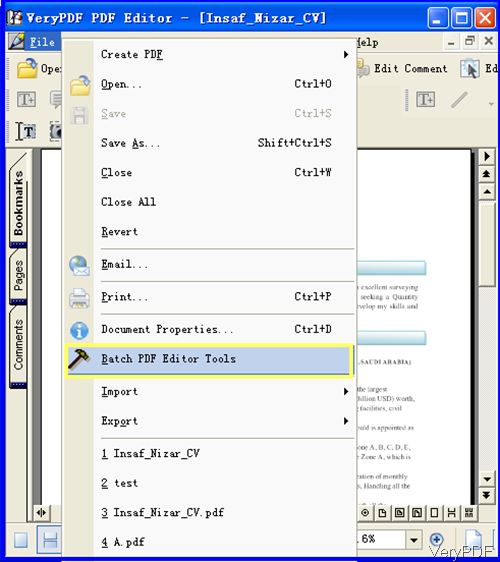 By this way, you can resize PDF page in batch by PDF Editor. If you want to own one and use it forever, please pay for it. During the using, if you have any question, please contact us as soon as possible. This entry was posted in PDF Editor and tagged in batch, resize PDF page. Bookmark the permalink.